About MH SET 2019: Maharastra State Eligibility Test (MH SET) is a State Level Eligibility Test Conducted by the University of Pune for the purpose of selecting the Candidates for Assistant Professor Post in the Universities/Colleges of Maharastra and Goa. 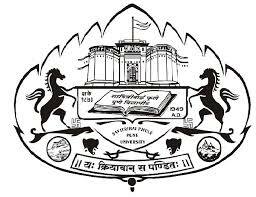 Conducting Authority: In accordance and under the Guidelines of University Grants Commission (UGC), Government of Maharastra and Government of Goa has selected the SAVITRIBAI PHULE PUNE UNIVERSITY (University of Pune) as the State Level Agency to conduct MH SET. Level: MH SET is a State Level Eligibility Test. Frequency: Maharsatra State Eligibility (MH SET) is conducted Once a year. Exam Paper: Exam will be conducted as Two individual Papers, Both the papers will have the Objective mode of questions. Registration: Candidates can start registering through Official website from 1st February 2019 up to 21st February 2019. Correction Window: Any changes to be made in the particulars of the Application form can be made from 22nd February 2019 to 28th February 2019. Admit Card: Candidates who complete the application for MH SET 2019 can download the admit card from the official website on 13th June 2019. Examination: MH SET 2019 is scheduled to be held on 23rd June 2019 in the allotted exam centre. Results: MH SET 2019 results are announced on the official website on 16th October 2019. Candidates shall first go through all the eligibility criteria before they apply for Examination. Age: There is No Upper Age Limit set by the Conducting authority for the Candidates to appear for the exam. Candidates who hold a UGC recognized Master’s degree or equivalent with at least 55% aggregate marks (without rounding off) and for SC/ST/PH/VH and OBC/SBC/DT/NT belonging candidates with at least 50% aggregate marks in Post Graduation are eligible. Final year post-graduation candidates are also eligible to apply. However, such candidates will be admitted provisionally and will be awarded the certificate after they pass their master’s exams with minimum percentage required. Candidates who hold a postgraduate diploma/ certificate granted by an Indian university or a foreign diploma/ degree/ certificate granted by a foreign university should determine the equivalence of their degree/ diploma/ certificate with master’s degree of recognized Indian universities. Candidates can evaluate this from Association of Indian Universities (AIU), New Delhi. Registration: Online Registration opens from 1st February 2019 and the candidates can visit the Official Website to Register up to 21st February 2019. Correction Window: For Candidates who complete the registration process within 21st February 2019 can make any changes in the particulars of the application form 22nd February 2019 to 28th February 2019. Candidates from the Other States except Maharastra and Goa should be treated under Open Category. Registration fee should be paid online through Debit Card/ Credit Card/ Net Banking. Documents Upload: Scanned Photograph and the Signature of Candidate should be uploaded while filling the application form. The photograph in Jpg/Jpeg formate with the maximum size of 50 Kb. The Signature in Jpg/Jpeg formate with the maximum size of 30 Kb. Registration Windows will be opened from 1st February 2019 up to 21st February 2019. Upload the Scanned Copies of Passport Size Photo and Signature of the specified dimensions. Make the Online Payment of the Registration Fee through Debit Card/ Credit Card/ Internet Banking. Admit Card for MH SET 2019 will be made available 10 days prior the exam i.e 13th June 2019. Check for the Admit card download link. Click on it, enter the Login Details. The details on the Admit Card will be based on the information in the application form. Along with the Admit Card, Candidates will have to carry a photo identity proof to the examination hall. MH SET 2019 exam centres are scheduled in 15 cities. The detailed venue about the exam centre will be printed on the Admit Card. Mode: The examination is conducted Offline Mode in the Pen and Paper Basis, Candidates will answer in the OMR Sheet which is provided along with the Question Paper or the Test Booklet. Question Type: The questions will be asked in the Objective Type or Multiple Choice Based. Paper I: This paper will test the reasoning ability and the reading comprehension of the candidate with the general teaching aptitude. Paper II: This paper will be based on the subjects selected by the candidate. Marking Scheme: Paper I has 50 questions and each question carries 2 marks. Paper II has 100 questions and each question carries 2 marks. Paper I syllabus is General Aptitude testing, testing Reasoning Skills, Reading Comprehension. Paper II syllabus is about the subject which the candidate chooses, Candidates selects the subject which they studied during their Post Graduation or the related/ equivalent Subject. Candidates can check the syllabus of all the subjects of Paper II in Syllabus Section of the Official Website. Once the results are announced Candidates can check the results from the Official Website. Check for the Results link. Click on the Results link, enter the required login details. Download and take the print out of the same for further references. Results will be announced in the Official website on 16th October 2019.